Give your kitty the purr-fect outlet for her scratching behavior with the Meow Town Corrugated Cat Scratcher. 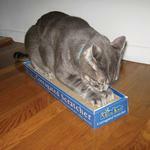 The Meow Town™ Corrugated Cat Scratcher is the inexpensive and eco-friendly solution to healthy cat scratching! 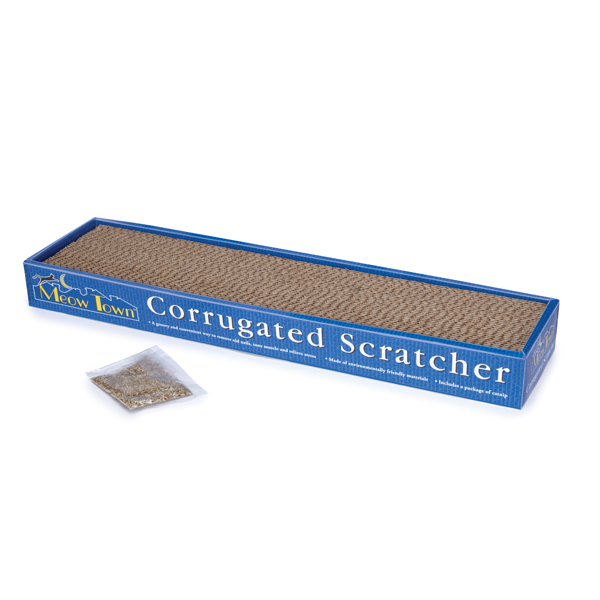 This 1.75" corrugated cardboard scratcher has a honeycomb texture that entices a cat to scratch without damaging furniture. The honeycomb cardboard inset can be flipped over for long-lasting use. Includes a packet of catnip for extra scratching enticement. Made of 30% recycled material. Made of Corrugated Cardboard with a honeycomb texture. Measures 19"L x 4.75"W x 2"H.
Pretty darn good shopping experience!